Only 137 hospitals, out of almost 5,000 hospitals in the U.S., earned national recognition in at least one of the 16 adult specialties examined in the most recent U.S. News & World Report rankings of American hospitals. Nine of those 137 were Plains Region teaching hospitals. Atop the list of the 5 Best Teaching Hospitals in the Plains Region is the internationally renown Mayo Clinic. Based in Rochester, Minnesota, the Mayo Clinic rated not only as the best regionally, but 2nd best in the entire nation. With more than 1,100 beds, the Mayo Clinic earned national rankings in 15 of 16 adult specialties, including best in the nation rankings for 8 specialties (Diabetes & Endocrinology, Gastroenterology & GI Surgery, Geriatrics, Gynecology, Nephrology, Neurology & Neurosurgery, Pulmonology, and Urology). St. Louis based Barnes-Jewish Hospital earned national rankings in 14 of 16 specialties, with its strongest specialty being Pulmonology, where it ranked 8th nationally. With over 1,300 beds, Barnes-Jewish Hospital is one of the preeminent teaching hospitals both regionally and nationally. The 623 bed, Kansas City based, University of Kansas Hospital earned national rankings in 12 specialties. Pulmonology and Geriatrics were its strongest specialties, where it ranked 17th nationally in both areas. The University of Iowa Hospital, the 685 bed teaching hospital based in Iowa City, ranked 7th nationally in Ophthalmology and 8th nationally in the Ear, Nose & Throat specialty. Overall, the University of Iowa Hospital earned national rankings in 7 specialties. Rounding out the the 5 Best Teaching Hospitals in the Plains Region is St. Luke's Hospital in Kansas City. This 410 bed teaching hospital earned national rankings in 7 specialties. Its two best specialties were Gynecology, where it ranked 19th nationally, and Cardiology & Heart Surgery where it ranked 20th. 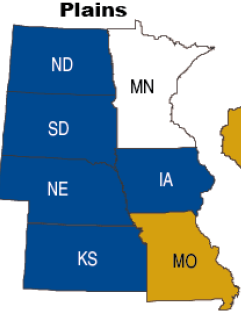 To find other teaching hospitals in the Plains Region and elsewhere, visit our U.S. Teaching Hospitals resource page. Perfect for head, neck and back pain, Natrigon by VitaMonk is intended to provide you with relief from inflammation and the pain and immobility it can cause. It uses natural ingredients such as turmeric that will make you feel good about taking it due to its natural sourcing. The actual Smok Alien is actually amazing and also upgrading their own inventory. To top it off, their own staff is an incredible and is extremely smart! Great selection of juices, e-cigarettes and wonderful support got all my questions answered. The next time we pleasant here in to anywhere else.